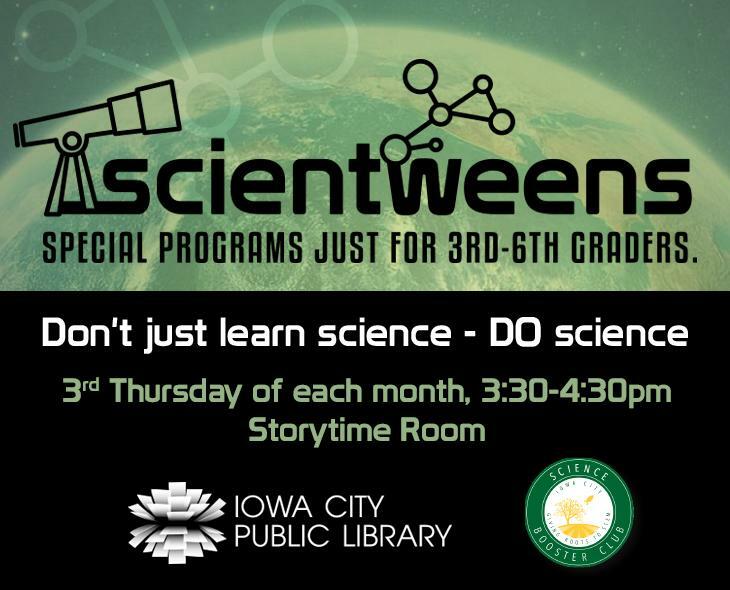 Don't just learn science- DO science with the Iowa City Science Booster Club. This monthly hands-on program for tweens gives you a chance to use cool scientific equipment to discover and explore the world around you. Just for kids in 3rd-6th grades.